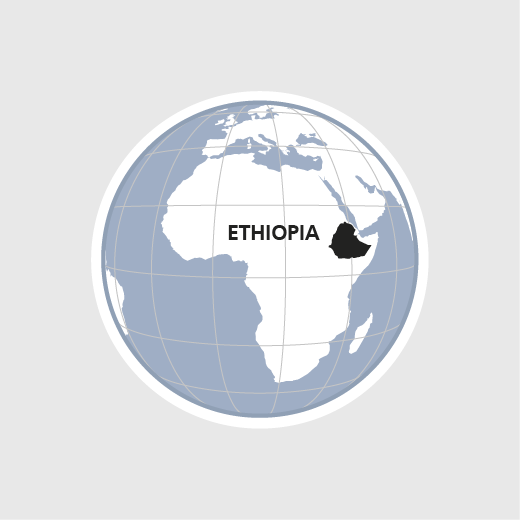 Despite Ethiopia's progress in combatting hunger and poverty, the country is frequently threatened by severe drought and hunger crises owing to climate change and soil overuse. HEKS/EPER and its local partner organizations are helping some 55 000 rural dwellers to improve their access to drinking water, develop sustainable farming methods, promote biodiversity and strengthen their resilience in times of drought or flooding. To secure access to natural resources, HEKS/EPER plans to step up cooperation with specialized Ethiopian organizations and networks and launch activities in new regions. People will also receive greater support in claiming their rights vis-a-vis the authorities. In 2017 HEKS/EPER improved water supplies for 28000 people. 4000 people increased their income thanks to better market access.